There’s a signature style and taste found at Wasatch Broiler & Grill, a family-owned business that’s been open since 1988. There’s just something about the moisture inside the steak, chicken and shrimp kebabs, or the bold combination of zesty lemon and paprika seasoning used to garnish most dishes that keeps customers returning. The secret lies in the Persian family recipe and the tender meat falling off the skewer. Wasatch Broiler & Grill’s menu was created with a bit of Persian influence and hints of Middle Eastern and Mediterranean flair by current owner Omid Sherkat and his mother, Poran Panah. You’ll find Italian items like insalata Caprese appetizer and calamari, but the most frequently ordered dish is the Middle Eastern delight of the flame-broiled kebabs. The secret to the kebabs’ success: marinating overnight in a blend of vegetable juices and seasonings, which gives each piece of meat consistent succulence. That preparation itself could be the secret to this menu item’s popularity. An array of different kebabs can be ordered, and come with lemon rice or seasoned potatoes. Choose from the chicken, steak or shrimp kebab, or mix it up by trying the combined steak and chicken kebab, or the seafood kebab that comes with salmon, scallops, halibut and shrimp. Not only does the menu value tastiness and culture, but it follows a healthy concept, too, with the freshest and lowest-calorie ingredients used, and all meat prepared with methods that minimize added fat. 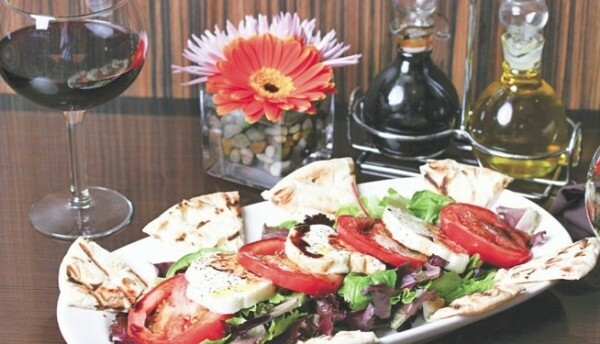 The kebabs might win the popularity award at Wasatch Broiler & Grill, but other favorites include the Gorgonzola steak salad, teriyaki chicken pasta and fish tacos. And for those who wish to wash it all down with an adult beverage, an extensive menu of spirits, beer and wine is available.